It was searing hot outside but we can’t just stay cooped up at our hotel. 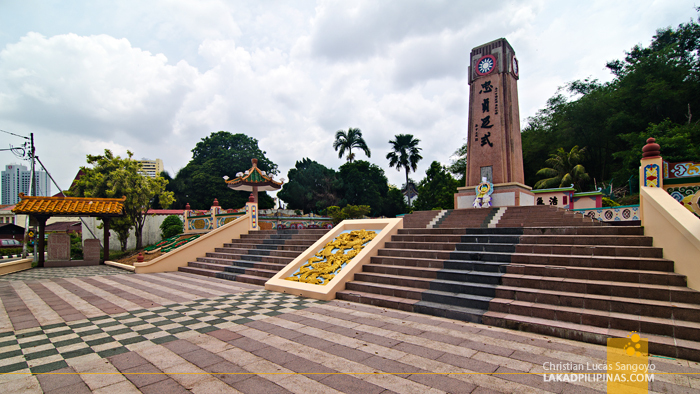 This being our second time in Melaka, we looked for other places to visit in the area other than the popular Dutch Square and Jonker Walk. Bukit Cina or China Hill perfectly fitted the bill; it was close enough to where we were staying and it sounded interesting. 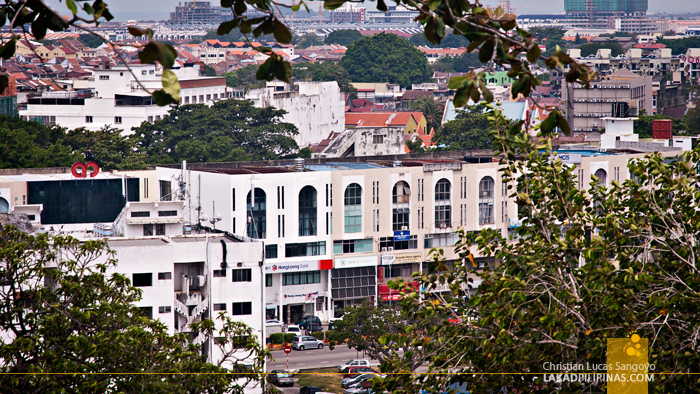 From The Pines Melaka, we passed an old church right before turning the bend to the Chinatown area of the city. 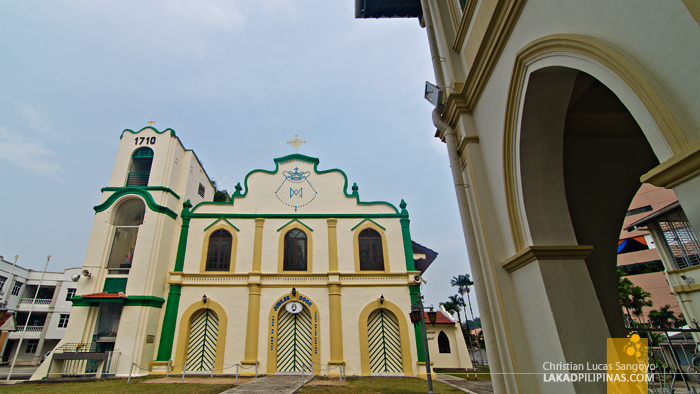 The Gereja St. Peter [GPS MAP: 2.202388, 102.253214], built in 1710, is said to be the oldest functioning Roman Catholic Church, not only in the city, but in all of Malaysia. 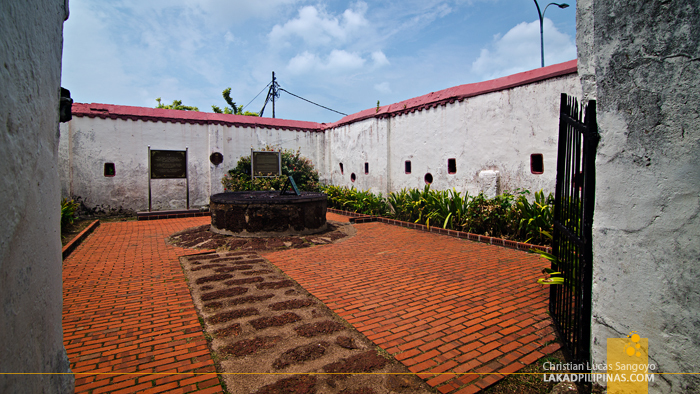 Surprisingly, the structure isn’t located on the UNESCO historical core of the city. 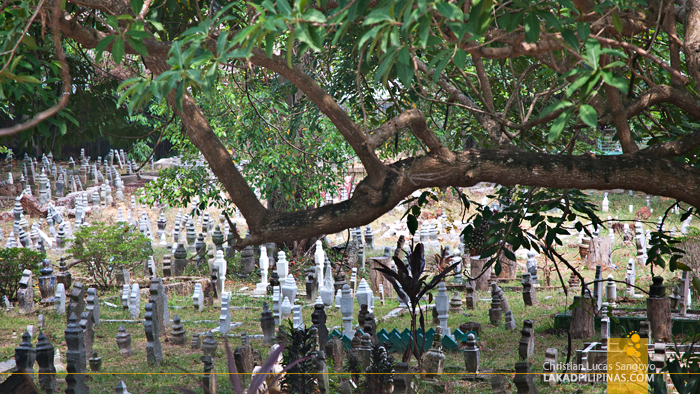 A few minutes later and we passed a wooded Muslim burial ground, one of the twenty around the area, which was just across Bukit Cina (pronounced as china). It is written that the place was popular during the 60’s and 70’s for people looking for spiritual help on certain four-digit numbers, whatever that is. I imagined the place would be carpeted by grass and shaded by trees. And indeed it was, only the grass has dried up due to the ongoing El Nino phenomenon in South East Asia. The hill itself is quite high, its highest set at 148 meters above sea level, but its slopes were very manageable, even for a non-hiker like me. 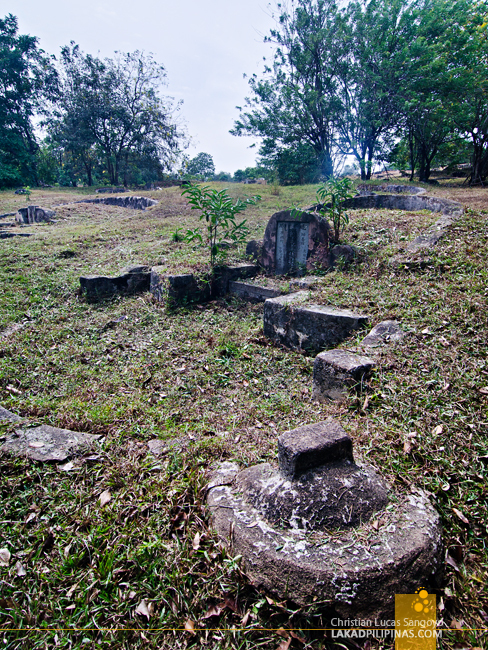 All across the undulating hills, we can see old gravestones set with time-worn Chinese characters, the oldest of which is dated at the Ming Dynasty era, 1612. 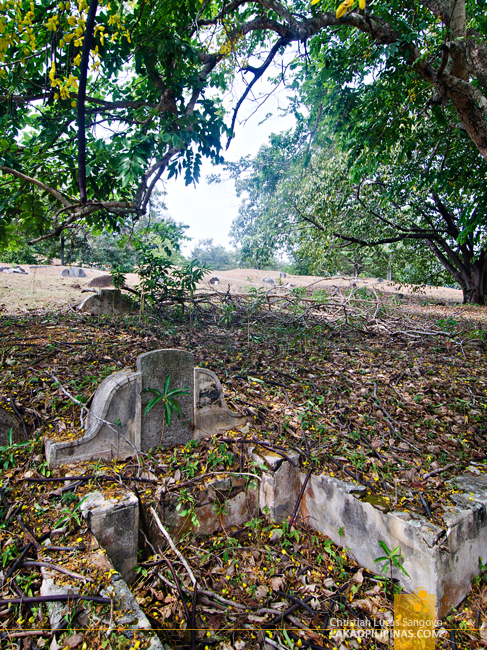 There are speculations however that there are graves older than that since many others have been exhumed during the British invasion of Melaka. 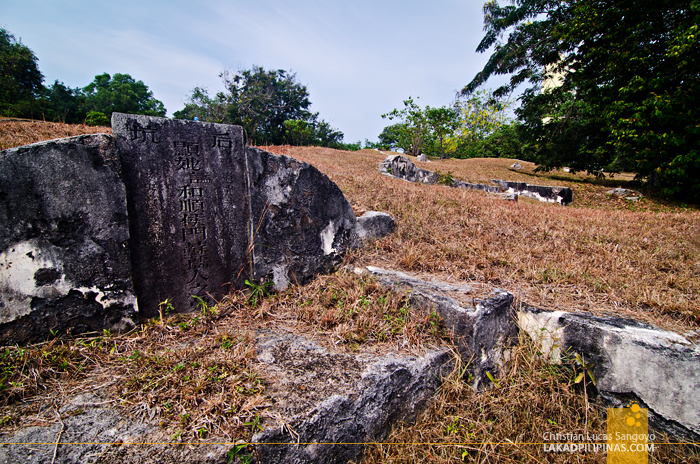 One thing is for certain though; the hill is the largest and oldest tradtional Chinese cemetery outside of China. 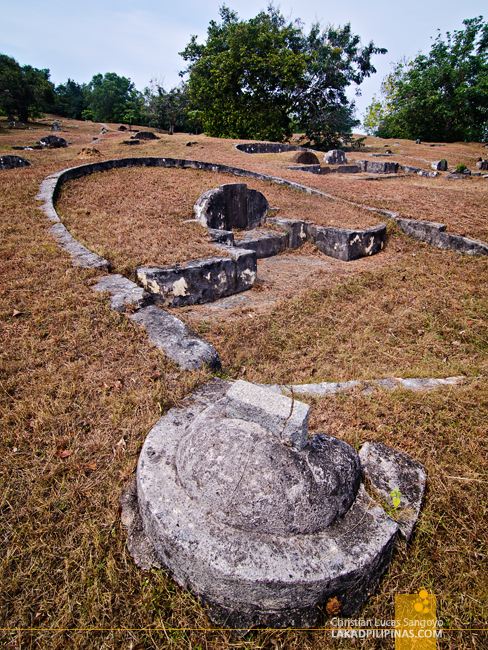 The cemetery covers three hills—Bukit Tinggi, Bukit Gedong and Bukit Tempurong—with a combined area of 250,000 square meters and has over 12,000 graves within. 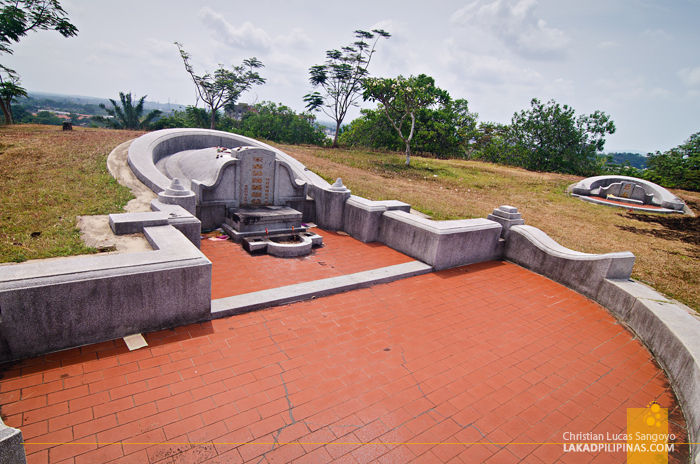 There are conflicting stories about the origin of Bukit Cina, but the most popular is that of a Chinese princess sailing to Melaka to marry its sultan. The latter then gave the hill to her as a present; it was to be their residence. 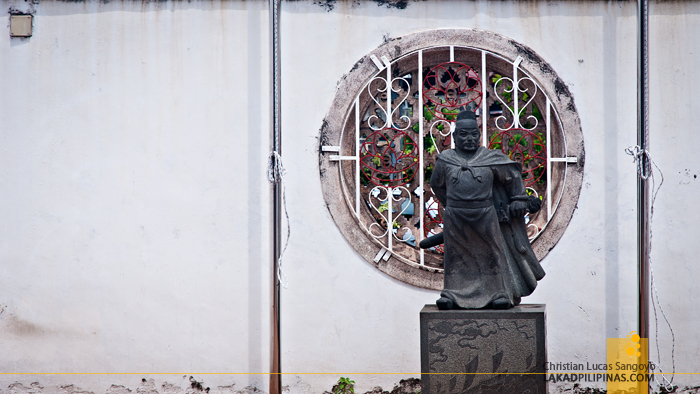 The area was converted into a cemetery in 1685 (which was quite weird since the oldest gravestone is marked at 1612) by the Kapitan China (the designation by the Portuguese for the head of the Chinese community back then). From where we entered the cemetery, there was really no formal trail to follow; we simply trailed a worn path made by joggers who frequent the area in the mornings. Eventually, we reached its apex where a memorial marker was set. From there, we found a set of concrete stairs leading down the hill. It seemed we went in from the wrong side of the cemetery. Not wanting to waste our efforts, we decided to visit the Poh San Teng Temple [GPS MAP: 2.195986, 102.255400] and the Well of Perigi Raja [GPS MAP: 2.195817, 102.255246], or the Dragon’s Well right at the foot of the hill. The temple and well themselves aren’t really that striking, but what it has is history, the well, more specifically. 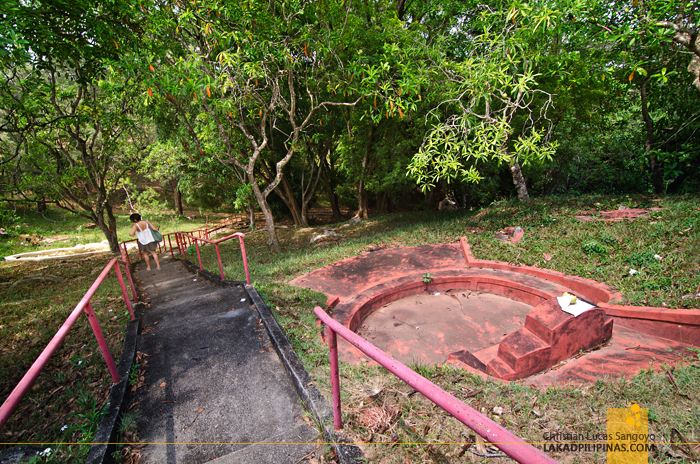 The water source was said to have been built by the servants of the princess for her personal use. There were a total of seven of them but only three were left due to urban woes such as road widening. The wells has overcome drought and poisoning by opposing parties back in the day. Our shirts were drenched by the time we passed the World War II Chinese Memorial [GPS MAP: 2.195621, 102.255372] just a few steps away from the well. It was a good walk, but certainly draining due to the extreme heat. Next time, remind us to do this kind of thing very, very early in the morning or perhaps just before the sun retires.